Phew, Christmas is over. You probably enjoyed it at the time, but now you can’t even look at a turkey sandwich without getting flashbacks and meat sweats. Luckily for you, London restaurants have wised-up to the fact that the last thing diners want to eat right now is a five-bird roast and have unveiled a raft of new year, new you healthy-eating initiatives. So whether you’ve signed up to dry January, you’re trying a plant-based lifestyle for Veganuary or you just want to eat more healthily without giving up eating out, we’ve gathered together the most nutritious dishes you can find in London restaurants this January. Who said being healthy had to be boring? 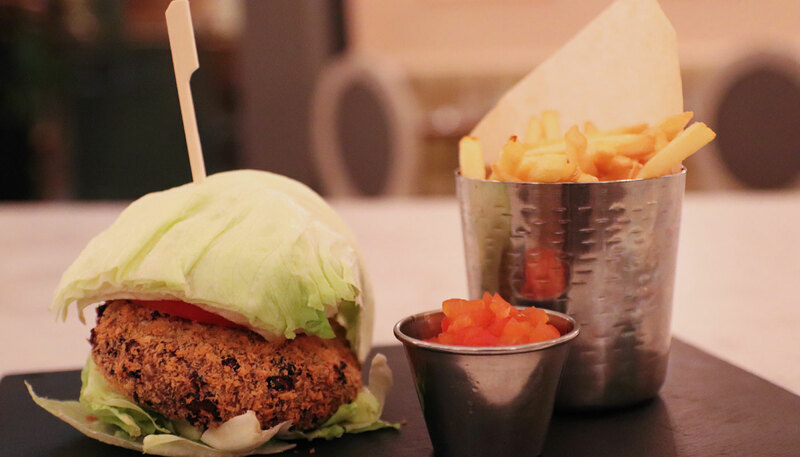 What: January means that Veganuary has arrived in full force and 108 Brasserie is celebrating its arrival with its vegan specials. 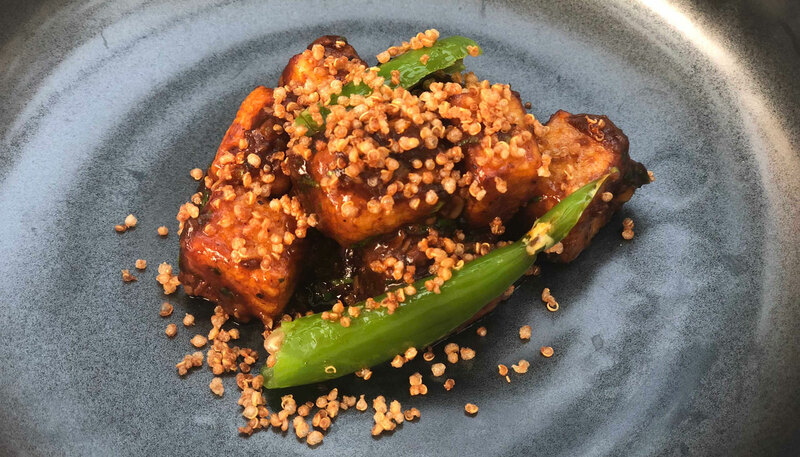 The restaurant’s meat-free options include five-spice crispy tofu with black rice, green chilli and coriander chutney and the tamarind and chilli-grilled aubergine. What: One for the business folk of Bank, 1 Lombard Street is offering a January detox menu for City suits who over-indulged in December. The menu includes smoked duck breast with beetroot and rocket, black olive risotto and a red quinoa and berry salad for dessert. What: Eating healthily doesn’t mean you can’t enjoy the fine things in life, and the Michelin-starred Alyn Williams at The Westbury has got you covered. 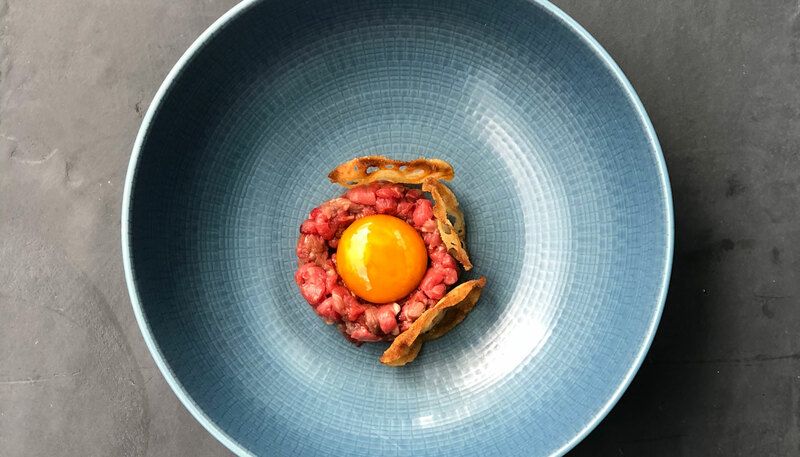 This January the restaurant is leaving meat, fish and animal products behind on a seven-course tasting menu which features dishes such as beetroot tartare and celeriac pasta with black truffle. What: French café Aubaine is taking part in Veganuary once again with plant-based dishes that aim to be delicious and nutritious. 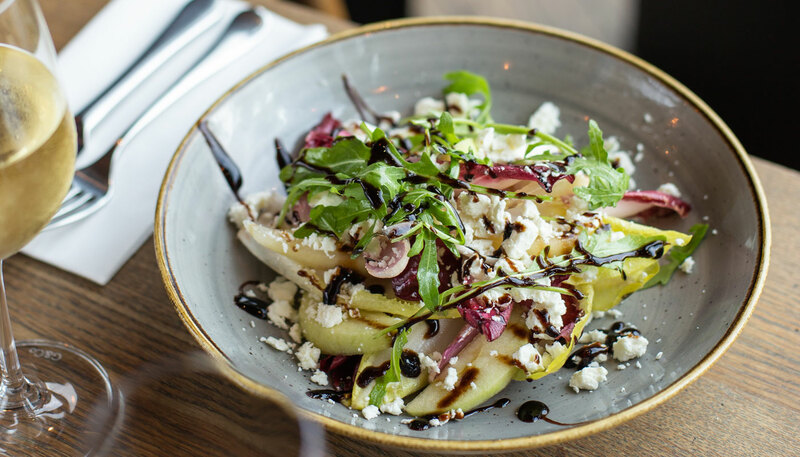 Expect the likes of beetroot and green apple tartare, a portobello mushroom and black bean burger with a lettuce bun, and poached plum and polenta cake. 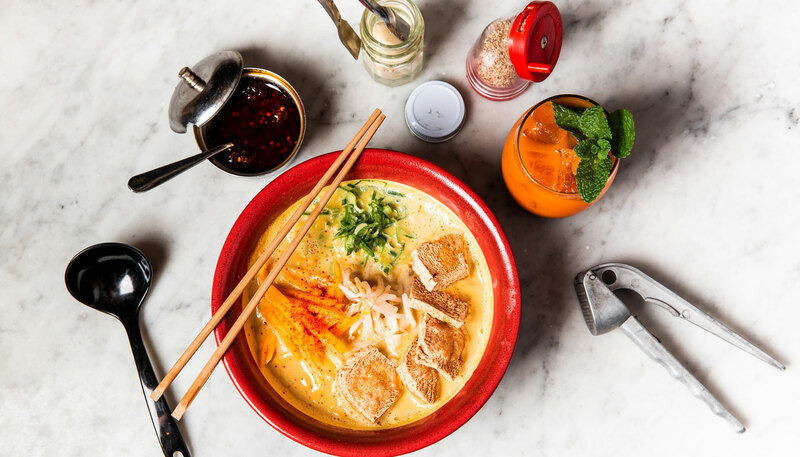 What: The high-energy ramen joint is aiming to produce vegan options that people will love as much as their meat-based soup bowls. For this year’s Veganuary, the chain has produced a pumpkin miso ramen with soy milk and mushroom broth, topped with fried bubbled tofu and butternut pickle. What: The bar at the swish Italian Baglioni hotel is a perfect choice for a stomach still stuffed from Christmas. 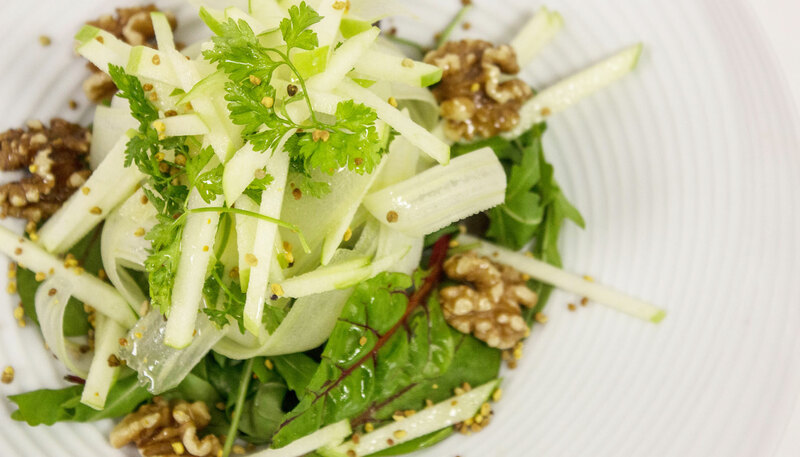 The vegan menu features wholesome dishes such as the refreshing apple and celery salad with bee pollen and walnuts. What: Vivek Singh’s Cinnamon collection are all participating in the Veganuary craze this year with vegan menus across the board. 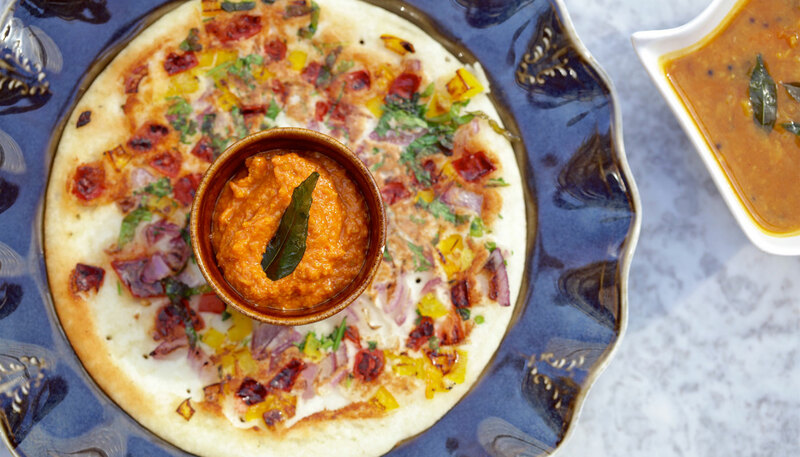 Casual Cinnamon Bazaar in Covent Garden is serving a four-course vegan menu featuring the signature watermelon chaat alongside many other options. What: Farmacy has been putting the joy into healthy food for some time now, so naturally it’s a go-to for a wholesome January restaurant visit. 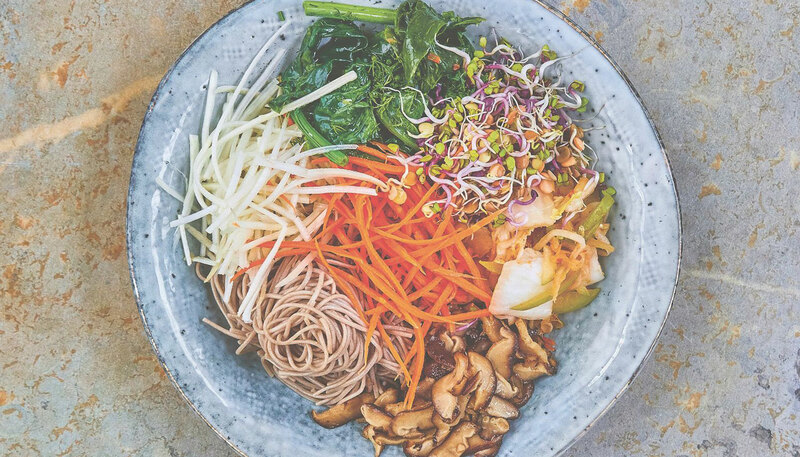 To celebrate Veganuary, Farmacy has created a kimchi bowl that includes chard stems, kohlrabi, brine carrots, mushrooms, radish sprouts and tamarind vinaigrette that provides a whopping six of your five-a-day. What: It’s no surprise that Farm Girl is a good option for a healthy January meal. 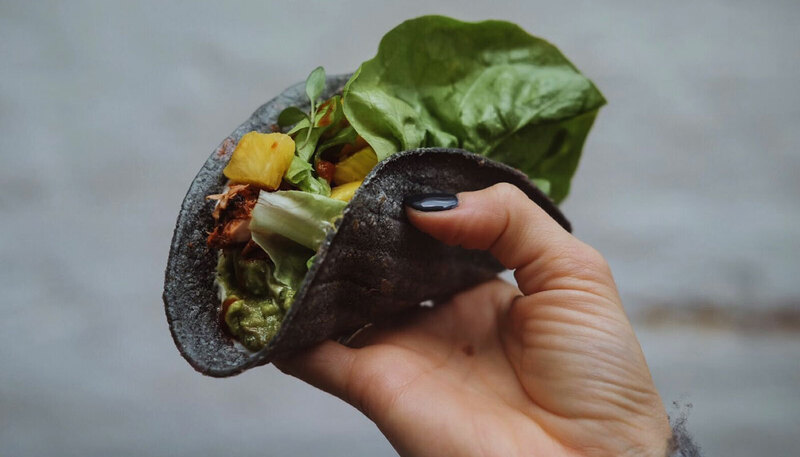 With its nutritious and hearty favourites such as blue-jack tacos, filled with BBQ pulled jackfruit, and the vegan coconut BLT made with coconut bacon, healthy eaters are spoilt for choice. 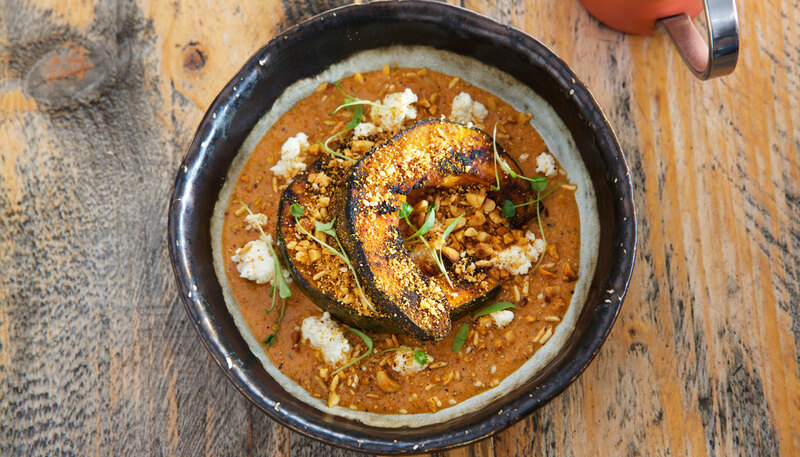 What: Chef Manish Mehrotra heads Indian Accent’s Veganuary efforts, with the aim of providing a luxury but guilt-free plant-based menu. Tuck into dishes such as tofu masala, green pea kofta curry and avocado chop. Hungry diners can even opt for a seven-course vegan dinner. What: Kricket’s Brixton branch is going all out this January with an exclusively vegetarian menu. Tuck into healthy dishes such as samphire pakora with tamarind and chilli garlic mayonnaise or delica pumpkin with makhani sauce, paneer, hazelnut and puffed wild rice. What: Visit this impressive three-storey addition to Granary Square for its healthy vegetarian and vegan dishes this January. Expect the likes of a starter of candied beetroot with pickled cabbage, toasted pecans and pomegranate, a winter crunch salad and courgette and squash pie for mains. What: In a bid to become the ‘world’s healthiest restaurant’, M Raw has released a Korean Kick Start detox menu featuring dishes such as kimchi pancakes, Korean steak tartare and barbecued beef bulgogi. The restaurant has also installed cutting-edge air purification technology, so you can detox from the London pollution, too. What: The Mediterranean diet is often renowned for its health benefits, so Greek restaurant Meraki is a no-brainer for a post-Christmas meal. 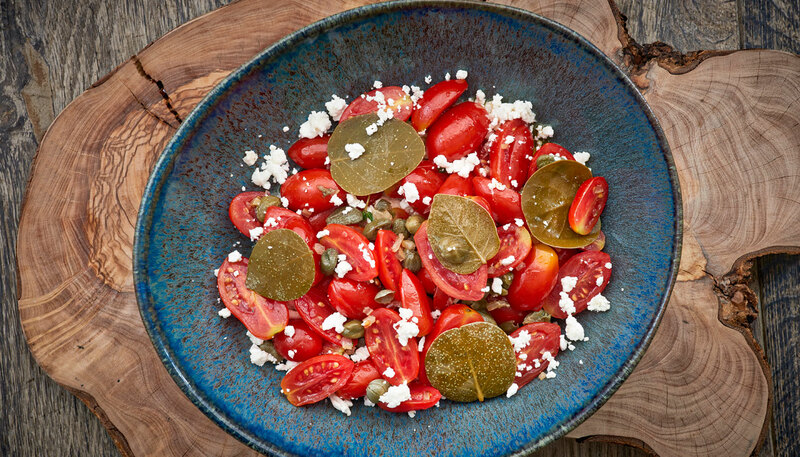 Try the Santorini cherry tomatoes with thyme, caper leaves and goats’ cheese, or perhaps the spinach pie salad with feta cheese, dill and crispy filo pastry will beat the festive bloat. What: A restaurant that features Sunday roasts as its main cuisine might not feature high on your list of January detox eating. However, Roast’s chef Paul Shearing has created a vegetarian steak alternative to its traditional rib-eye steak. This healthier option is a cauliflower steak served with grapes, almonds and apple puree. What: Whether you’re a vegan or just trying to keep trim and fit this January, Theo Randall’s Italian restaurant offers a great plant-based fine-dining experience. Dishes include the nutritious antipasto di verdure, a combination of red peppers, farinata, Swiss chard and borlotti beans on bruschetta. Keeping healthy is important, but when you’re exhausted by the January sales what you need is a hearty good meal. Check out this list of places to eat during the January sales.